Before:- Adarsh Kumar Goel and Uday Umesh Lalit, JJ. Civil Appeal No. 11158 of 2017 (Arising out of Special Leave Petition (Civil) No. 20184 of 2017). D/d. 12.9.2017. For the Appellants :- T.R.B. Sivakumar, Advocate. Adarsh Kumar Goel, J. 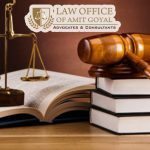 – The question which arises for consideration in this appeal is whether the minimum period of six months stipulated under Section 13B(2) of the Hindu Marriage Act, 1955 (the Act) for a motion for passing decree of divorce on the basis of mutual consent is mandatory or can be relaxed in any exceptional situations. 2. Factual matrix giving rise to this appeal is that marriage between the parties took place on 16th January, 1994 at Delhi. Two children were born in 1995 and 2003 respectively. Since 2008 the parties are living separately. Disputes between the parties gave rise to civil and criminal proceedings. Finally, on 28th April, 2017 a settlement was arrived at to resolve all the disputes and seeks divorce by mutual consent. The respondent wife is to be given permanent alimony of L 2.75 crores. Accordingly, HMA No. 1059 of 2017 was filed before the Family Court (West), Tis Hazari Court, New Delhi and on 8th May, 2017 statements of the parties were recorded. The appellant husband has also handed over two cheques of L 50,00,000/-, which have been duly honoured, towards part payment of permanent alimony. Custody of the children is to be with the appellant. They have sought waiver of the period of six months for the second motion on the ground that they have been living separately for the last more than eight years and there is no possibility of their re union. Any delay will affect the chances of their resettlement. The parties have moved this Court on the ground that only this Court can relax the six months period as per decisions of this Court. 3. Reliance has been placed inter alia on decision of this Court in Nikhil Kumar v. Rupali Kumar, 2016(3) R.C.R. (Civil) 240 : 2016(3) Recent Apex Judgments (R.A.J.) 605 : (2016) 13 SCC 383 wherein the statutory period of six months was waived by this Court under Article 142 of the Constitution and the marriage was dissolved. “13-B. Divorce by mutual consent.- (1) Subject to the provisions of this Act a petition for dissolution of marriage by a decree of divorce may be presented to the district court by both the parties to a marriage together, whether such marriage was solemnized before or after the commencement of the Marriage Laws (Amendment) Act, 1976, on the ground that they have been living separately for a period of one year or more, that they have not been able to live together and that they have mutually agreed that the marriage should be dissolved. 5. This Court noted that power under Article 142 had been exercised in cases where the Court found the marriage to be totally unworkable, emotionally dead, beyond salvage and broken down irretrievably. This power was also exercised to put quietus to all litigations and to save the parties from further agony. This view was reiterated in Poonam v. Sumit Tanwar, 2010(2) R.C.R. (Civil) 551 : 2010(2) Recent Apex Judgments (R.A.J.) 410 : (2010) 4 SCC 460. 6. In Neeti Malviya v. Rakesh Malviya, 2010(3) R.C.R. (Civil) 249 : (2010) 6 SCC 413, this Court observed that there was conflict of decisions in Manish Goel (supra) and Anjana Kishore v. Puneet Kishore, (2002) 10 SCC 194. The matter was referred to bench of three-Judges. However, since the matter became infructuous on account of grant of divorce in the meanwhile. Order dated 23rd August, 2011 in Transfer Petition (Civil) No. 899 of 2007. 7. Without any reference to the judgment in Manish Goel (supra), power under Article 142 of the Constitution has been exercised by this Court in number of cases Priyanka Singh v. Jayant Singh (2010) 15 SCC 390; Sarita Singh v. Rajeshwar Singh (2010) 15 SCC 374; Harpreet Singh Popli v. Manmeet Kaur Pople, 2010(1) R.C.R. (Civil) 644 : (2010) 15 SCC 316; Hitesh Bhatnagar v. Deepa Bhatnagar 2011(2) R.C.R. (Civil) 793 : 2011(2) Recent Apex Judgments (R.A.J.) 474 : (2011) 5 SCC 234; Veena v. State (Govt of NCT of Delhi), 2012(1) R.C.R. (Civil) 827 : 2012(1) Recent Apex Judgments (R.A.J.) 137 : (2011) 14 SCC 614; Priyanka Khanna v. Amit Khanna 2012(2) R.C.R. (Civil) 98 : 2012(1) Recent Apex Judgments (R.A.J.) 251 : (2011) 15 SCC 612; Devinder Singh Narula v. Meenakshi Nangia 2012(4) R.C.R. (Civil) 235 : 2012(4) Recent Apex Judgments (R.A.J.) 299 : (2012) 8 SCC 580; Vimi Vinod Chopra v. Vinod Gulshan Chopra, 2014(3) R.C.R. (Civil) 959 : 2014(4) Recent Apex Judgments (R.A.J.) 551 : (2013) 15 SCC 547; Priyanka Chawla v. Amit Chawla, 2016(2) R.C.R. (Civil) 285 : 2016(2) Recent Apex Judgments (R.A.J.) 159 : (2016) 3 SCC 126; Nikhil Kumar v. Rupali Kumar, 2016(3) R.C.R. (Civil) 240 : 2016(3) Recent Apex Judgments (R.A.J.) 605 : (2016) 13 SCC 383 even after the said judgment. 8. We find that in Anjana Kishore (supra), this Court was dealing with a transfer petition and the parties reached a settlement. This Court waived the six months period under Article 142 in the facts and circumstances of the case. In Anil Kumar Jain v. Maya Jain, 2009(4) R.C.R. (Civil) 310 : 2009(5) Recent Apex Judgments (R.A.J.) 641 : (2009) 10 SCC 415, one of the parties withdrew the consent. This Court held that marriage had irretrievably broken down and though the civil courts and the High Court could not exercise power contrary to the statutory provisions, this Court under Article 142 could exercise such power in the interests of justice. Accordingly the decree for divorce was granted. 9. After considering the above decisions, we are of the view that since Manish Goel (supra) holds the field, in absence of contrary decisions by a larger Bench, power under Article 142 of the Constitution cannot be exercised contrary to the statutory provisions, especially when no proceedings are pending before this Court and this Court is approached only for the purpose of waiver of the statute.